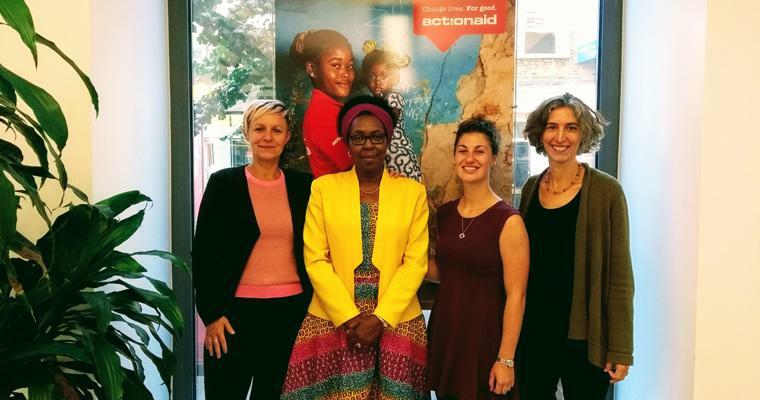 Charlotte Schofield, Fine & Country Foundation Coordinator, joined ActionAid supporters to hear about their recent work in Kenya in a fascinating lecture and discussion on Thursday 13th September. The Fine & Country Foundation works with more than 15 homeless charities across the world. We believe that it is important to understand the depths of their work and provide new opportunities and projects for you to support. Read the inspiring story of ActionAid Kenya’s work below. Makena Mwobobia, Head of Policy Programmes for ActionAid Kenya, spoke about the Not This Girl - Aid Match Project, 2018-2020. The mission is designed to tackle a series of challenges and obstacles from the top and the bottom of Kenya’s political and cultural structures to put an end to violence against women and girls. “Without challenges there wouldn’t be violations” – Makena Mwobobia. On a governmental level, Kenya has made drastic improvements in recent years for women’s rights, including: Sexual Offenses Act 2006 and the Prohibition of Female Gentile Mutilation Act 2011. However, ActionAid works tirelessly with not just the government, but the women themselves and members of various bodies to influence change and alter perceptions towards violence against women and girls. Implementation of laws is difficult and slow so ActionAid has begun training paralegals to work with women and girls to connect them with the appropriate industries and bodies when an issue arises. This provides women with access to spaces occupied by influencers. Over the last eight years, ActionAid has worked with schools and communities to form Peer Groups. They noticed the common trend within schools: around 40 girls would begin school in Grade One and only around three girls would stay in school by Grade Eight. To keep girls in education and away from harm, safe spaces were established in each year group. ActionAid provides girls with the opportunity to speak with their peers about issues they are facing. They discuss traumas, abuse, puberty and their rights as women. Girls require a safe space to speak and avoid the stigma associated with violence against women and girls. Sadly, many girls are demonised or blamed for abuse; for instance for not being dressed appropriately. Therefore, Peer Groups allow girls to speak without judgement and understand that they have done nothing wrong. The Girls Clubs Manual is designed for group leaders and schools to continue to provide this support without direct intervention from ActionAid and ensure a lasting legacy. As a result, schools with Peer Groups are introducing the idea to neighbouring schools with huge success. “Ownership of initiatives by the people gives sustainability” – Makena Mwobobia. Men and boys are the predominant influencers of ground-level change. Laws have been created by government, but in order to implement them it requires the support of influencers. ActionAid have formed separate Peer Groups for boys to teach them how to protect and support their sisters. They have extended their reach to speak with religious leaders who have considerable sway in their local communities. This rights-based approach ensures that the government understands its responsibility to provide safety to women and gives ActionAid the opportunity to educate those at both the top and bottom levels of society for a lasting impact. “Girls themselves are the voices of girls” – Makena Mwobobia. The Fine & Country Foundation supports ActionAid Bangladesh’s project, Happy Home. We help 150 girls to have a safe, educated and happy upbringing. Find out more about our work with ActionAid here.